I’ve been on a muffin kick lately. Let’s face it, they’re adaptable, they’re tasty and (most of all) they’re portable. My mission this summer – you know, besides for grilling everything in sight – is to see how many different variations of gluten-free muffins I can come up with. 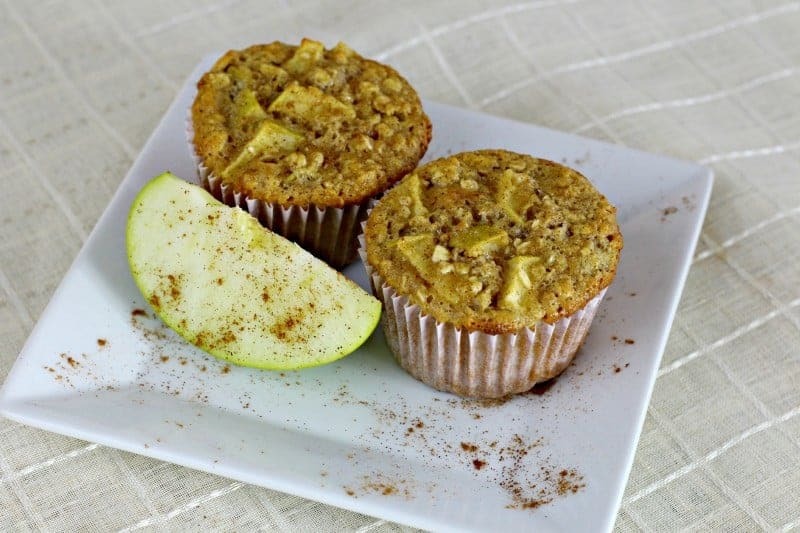 So, for your feasting pleasure, I give you gluten-free muffin number three: Apple Cinnamon Oatmeal Muffin. They’re kind of like an oatmeal muffin and an apple pie ran into each other and created this delicious, delicious combination. 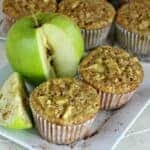 The best part about these muffins is that they freeze really well, which means you can make big batches and freeze them for quick breakfasts all month-long. Of course you can make this recipe with regular flour if you’re not fond of gluten-free flour, just use 1 cup of all-purpose flour instead of the gluten-free flour, and decrease the baking soda to 2 tsp. 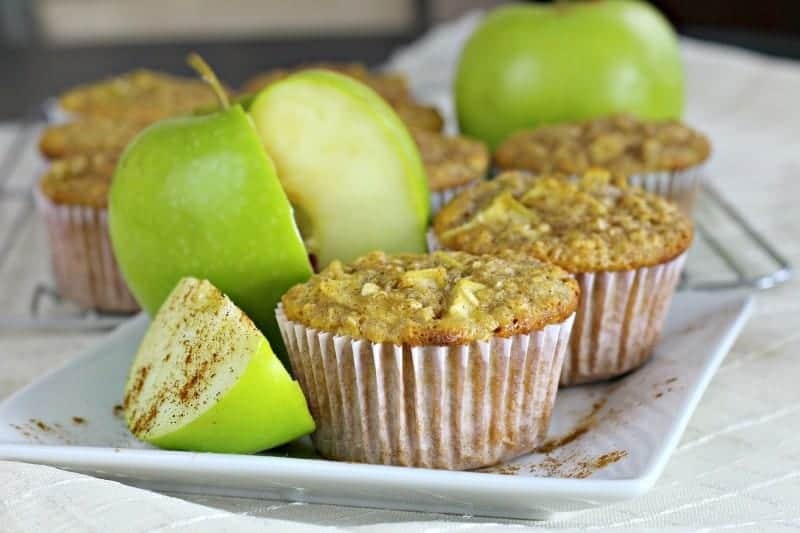 These gluten-free muffins are a delicious addition to your morning breakfast routine. Moist, sweet apples and substantial oatmeal, these freeze and travel well. Top with cinnamon and serve warm or cold. In a mixing bowl, add flour, oats, baking powder, salt and cinnamon. Stir together until combined. Add eggs, light cream, applesauce, and vanilla extract to mixing bowl. Mix until all ingredients are combined. Stir in granny smith apple pieces. In a paper-lined muffin pan, spoon in batter evenly, filling each muffin tin almost to the top. Bake muffins for 20-25 minutes, or until golden brown and a toothpick comes out clean.